Women’s Specialists of New Mexico is dedicated to the health of all women and boasts that its providers have delivered more than 80,000 babies in Albuquerque. 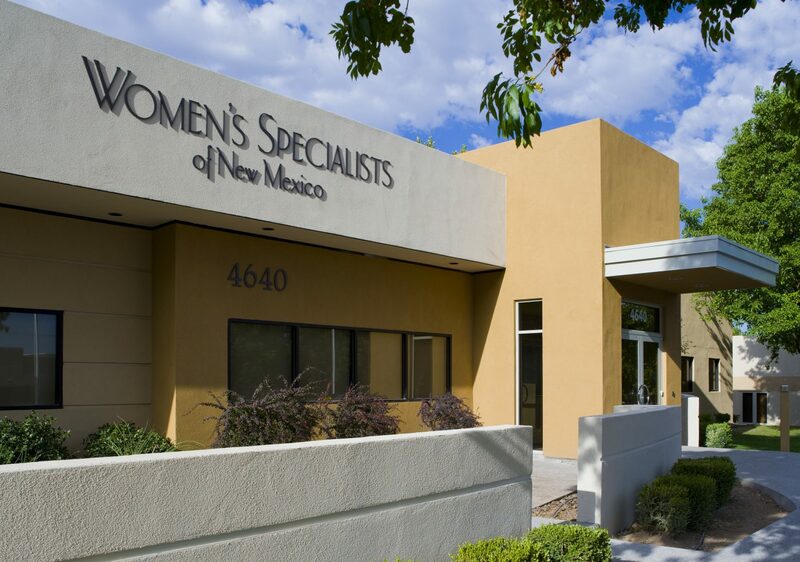 They chose to renovate a 20-year-old building for their fourth medical office near the midtown hospital. 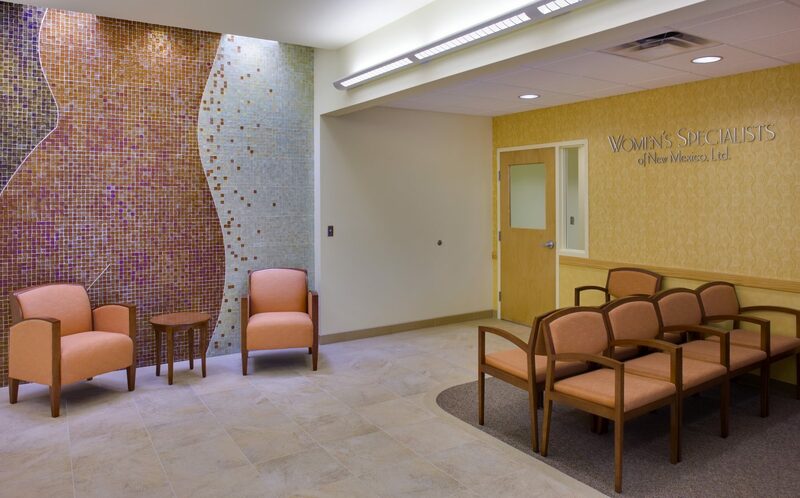 The concept for their patient services is to make one’s experience feel personalized and private. 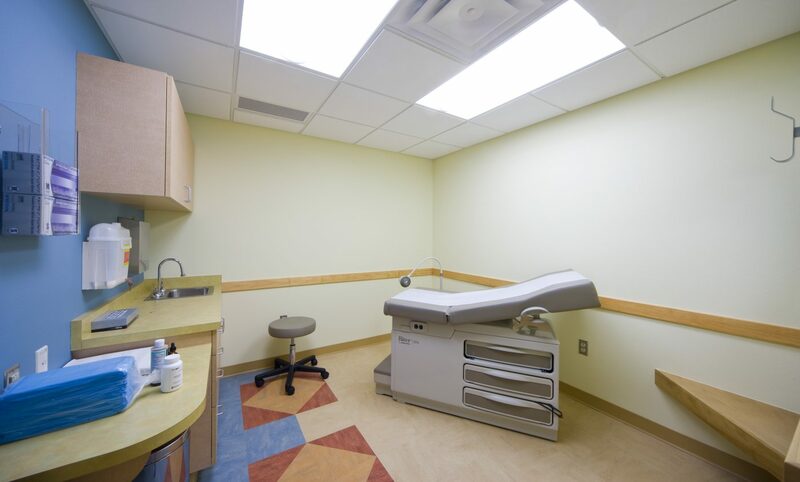 The organization of the floor plan decentralized the patient-provider experience by zoning the practice into three pods, each with eight exam rooms, doctors’ office and workstations for medical assistants. 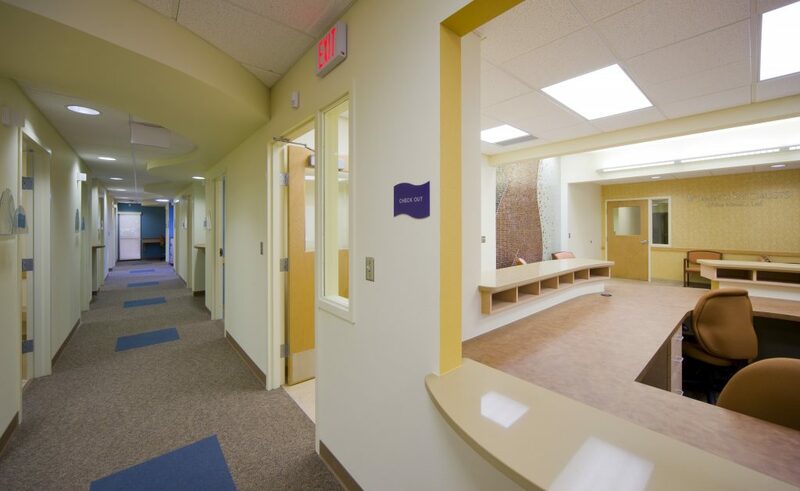 After patients are welcomed into the main lobby for check-in they are escorted to the smaller pods for triage under the care of their medical provider. The waiting areas are small and comfortable, curved soffits soften the architecture, and natural light washes the public spaces. Renovations to the exterior including a private staff patio, a new covered entrance, crisp new colors, and fresh landscaping give the building a new identity.